With realistic photos and simple wording, Trees sharpens kids' minds with the different kinds of trees there are and how they look in various environments and elements. This is a brisk read filled with beautiful photos. The "For Creative Minds" section at the back of the book helps children learn more about trees with lessons on how trees help you breathe, how they become natural resources, and how they are important to animals. There's also educational information on tree parts. 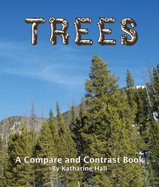 Trees: A Compare and Contrast Book is a 2015 release by Arbordale Publishing. One person will win Trees: A Compare and Contrast Book. I like poplars. Pretty leaves. I like dogwoods because when they start to bloom it means spring is finally here! 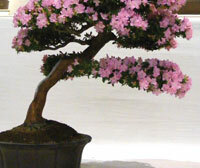 My favorite tree is the Dogwood and Cherry, I love the blooms in the Spring! I love tall redwood trees and maple trees. I love all trees really. The Willow tree is my favorite tree...it is so graceful and beautiful! My favorite tree is a Mimosa. I've planted one in my last three yards. I like maple trees. Their leaves are so pretty in the autumn. maple trees are my favorite, but I love all trees, most especially the ones that give off so much color in the autumn or spring. I like live oak trees. My favorite tree is the magnolia tree! I love Camilla trees they are just beautiful when in bloom, and they are nice when not in bloom also. Weeping willows have always been my favorite.